The ancient parish comprised the townships of Trellan, Trebwll, Tre Trallwyn, Tre Deunant and Pen y Rhos. 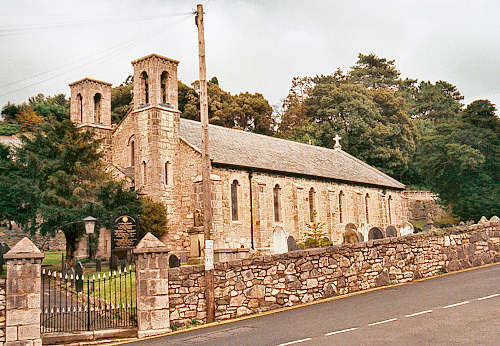 The church was rebuilt in 1839, and restored in 1908. For family history information about the church and parish, visit the GENUKI Llansanffraid Glan Conwy page.